Funny guy Scott Rogowski wraps up the current season of his live talk show, Running Late with Scott Rogowski, tonight (7/2) at Le Poisson Rouge. He’s put together a pretty killer lineup of guests for his season finale, too: Jon Hamm and H. Jon Benjamin (both of whom are in Wet Hot American Summer: First Day of Camp) will be there, as will Tom Papa and actor Craig Bierko. Tickets are still available. 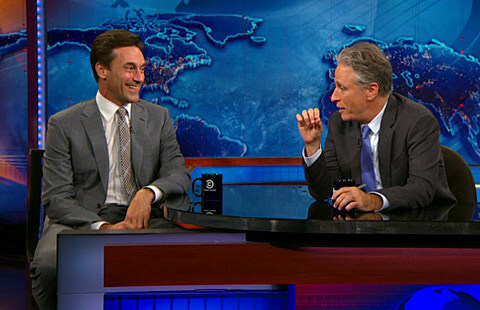 Jon Hamm, who also lends his voice to upcoming Despicable Me sequel Minions, stopped by The Daily Show on Wednesday (6/30) to chat with departing host Jon Stewart, and you can watch that segment below.